The first edition of our EURAXESS Japan Tour seminars in 2019 will take place at Hokkaido University on 7 March. 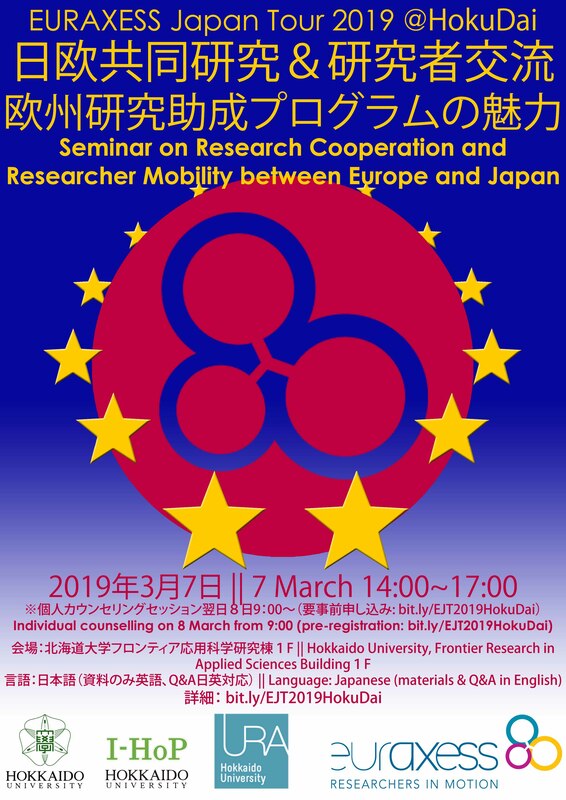 It will provide in half a day a complete overview of opportunities for research cooperation and mobility projects between Japan and Europe, with a particular focus on funding schemes within the EU's flagship research and innovation Framework Programme, Horizon 2020. As an addition to the usual programme, it will also allow local researchers to ask for 1 hour face-to-face counselling on their projects in or with Europe on the next day(8 March) upon pre-registration.